Is there anything better than bacon? How about a smokey sweet infused flavoring? 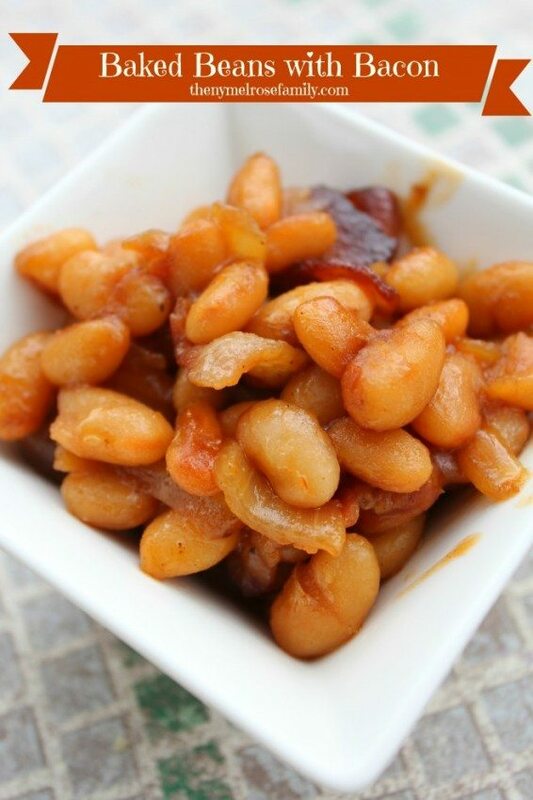 These baked beans with bacon are going to knock your socks off if you answered yes to either of these questions. They compliment just about any grilled meal that you can think of. Plus, you don’t need to worry about chilling them so don’t worry about trying to make room in the fridge for them.